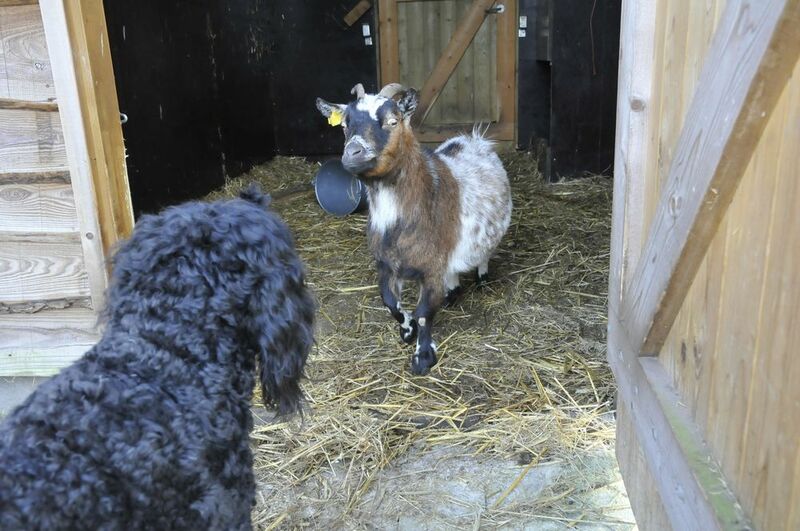 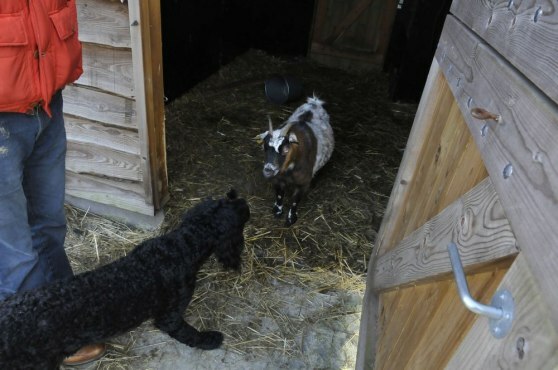 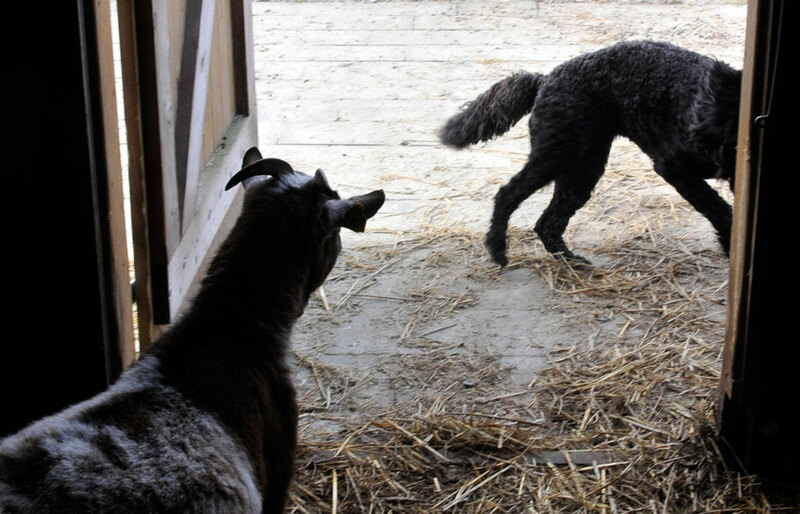 Along with the Barbet cows lived two goats. Yatzie had never been so close to goats before, only watching them from the other side of the fence, and this new opportunity to face the goats was very exciting for her. 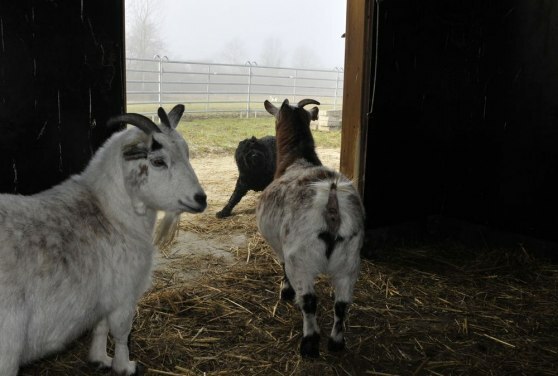 The white goat was sweet and friendly, as you can see on its face and smile, but the brown goat made attacks towards Yatzie. 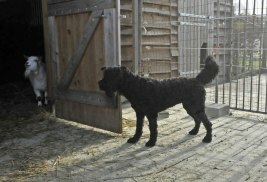 Yatzie kept a distance at first, looking into the goats stable from behind the door. 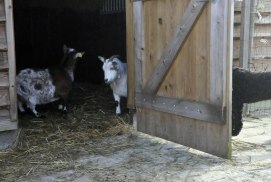 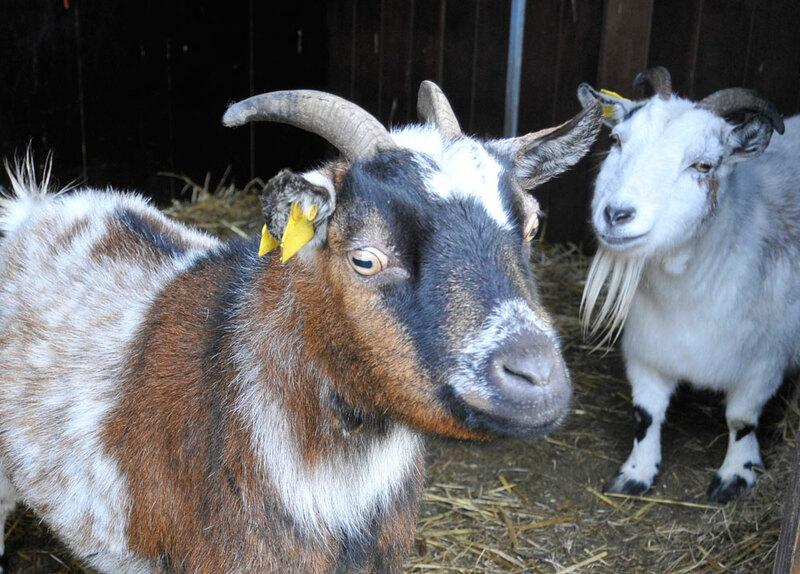 But after a while the curiousity took over hand for both Yatzie and the brown goat and they almost touched nose by nose. 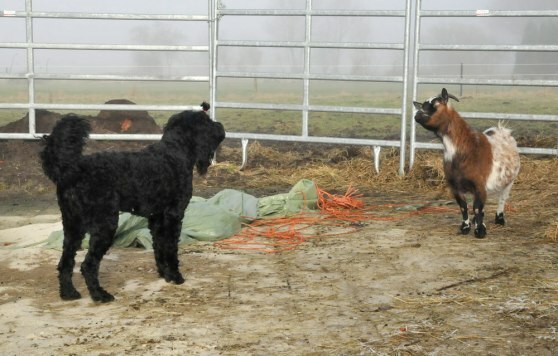 Yatzie is bang maar het gijtje ook, straks springen ze samen nog door de weilanden, zou wel grappig zijn!